Engineering entrance exam is one of the toughest exams in India. Getting admission in one of the top colleges of engineering in Bangalore with low scores is nearly impossible. But here, we are providing direct admission in Dayananda Sagar College Of Engineering through management seats and vacant seats left during counselling. Direct admission in Dayananda Sagar College is an opportunity for engineering aspirants to make a bright future and career. 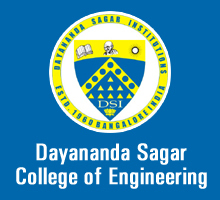 Dayananda Sagar College of Engineering is an autonomous institute affiliated to Visvesvaraya Technical University (VTU). The college was established by Shri R Dayananda Sagar on 1979 and is located in Kumaraswamy layout, Bangalore South. The college campus is on 28 acres land with a pleasant environment around. Many research programs are accredited to AICTE, New Delhi. JOB OPPORTUNITIES- Dayananda Sagar College Of Engineering has one of the best placement cell. Soft skills classes and training is organised for the students so that, they can be prepared for the campus placements. Some of the top recruiters are Tech Mahindra, Unisys, JP Morgan, Textron, Mu Sigma, Amazon, NTT Data, Quest Global, EY, TCS, Mphasis, HPE and many more. STUDENT ACTIVITIES AND CLUBS- There are many techfest organised by students. The college has many clubs which are associated to technical skills and some are social awareness clubs. They are aura, quest, techspark, sae-dsce, iet-dsi ,parivartan, computer society of India, IEEE DSCE and many more. College has it’s own sport club and have many teams in sports like soccer, tennis, basketball and others. FACILITIES TO STUDENTS- The college has a central library which have at least 1,00,000 volumes of textbooks and reference book. College have state of art laboratories and have evolved every year with addition of new equipments which are necessary for the research purpose. Student cafeteria and canteen is present for relaxation. Hostel facility for both girls and boys and wifi facility is also available. RESEARCH FACILITIES AND PROJECTS BY STUDENTS- Research is one of the main integral part of Dayananda Sagar College of Engineering. Writing research journals and articles by students is encouraged in Dayanand Sagar College. They are provided research opportunity and internships in IITs,NITs. The college have collaboration with German research center and many other research center in Europe. Many of the projects are funded by AICTE, Karnataka state council for science and technology. The college has been declared as center of excellence by VTU because of its research contribution in many projects. Aeronautical Engineering (Btech- 4 years). AutoMobile Engineering (Btech- 4 years) . Biotechnology Engineering (Btech- 4 years). Chemical Engineering (Btech- 4 years). Civil Engineering (Btech- 4 years). Computer Science and Engineering (Btech – 4 years). Construction Technology and Management (Btech- 4 years). Electrical and Electronics Engineering (Btech- 4 years). Electronics and Communication Engineering (Btech- 4 years). Industrial Engineering and Management (Btech- 4 years). Information Science and Engineering (Btech- 4 years). Instrumentation Technology (Btech- 4 years). Mechanical Engineering (Btech- 4 years). Medical Electronics (Btech- 4 years). Telecommunication Engineering (Btech- 4 years). Structural Engineering, Highway Engineering (M tech- 2 years) . Design Engineering, Computer Integrated manufacturing (M tech- 2 years). Manufacturing Industrial Engineering & Management (M tech- 2 years) . VLSI Design & Embedded Systems, Digital Electronics & Communication (M tech- 2 years). Digital Communication & Networking Engineering (M tech- 2 years). Computer Network Engineering (M tech- 2 years). Computer Science & Engineering (M tech-2 years). Power Electronics & System (M tech- 2 years). Chemical Engineering (M tech- 2 years). Biomedical Signal Processing & Instrumentation (M tech- 2 years). Microelectronics & Control Systems (M tech- 2 years). Bioinformatics (M tech- 2 years). Computer Application (MCA- 3 years). Information Science & Engineering (Phd/MS). Electronics and Instrumentation Engineering (Phd/MS). Electrical and Electronics Engineering (Phd/MS). Industrial Engineering and Management (Phd/MS). Construction Technology & Management (Phd/MS). Master of Computer Applications (Phd/MS). Biochemical Engineering in Dayananda Sagar College Of Engineering is famous for it’s research journal and papers. For further details on direct admission in Dayananda Sagar College Of Engineering, you can contact us on 07406010001, 09741004996 and we will help you with admission process.